Today was another cleaning day, as we prepare to move to another city. I took Daisy out in the backyard to chomp on clover. 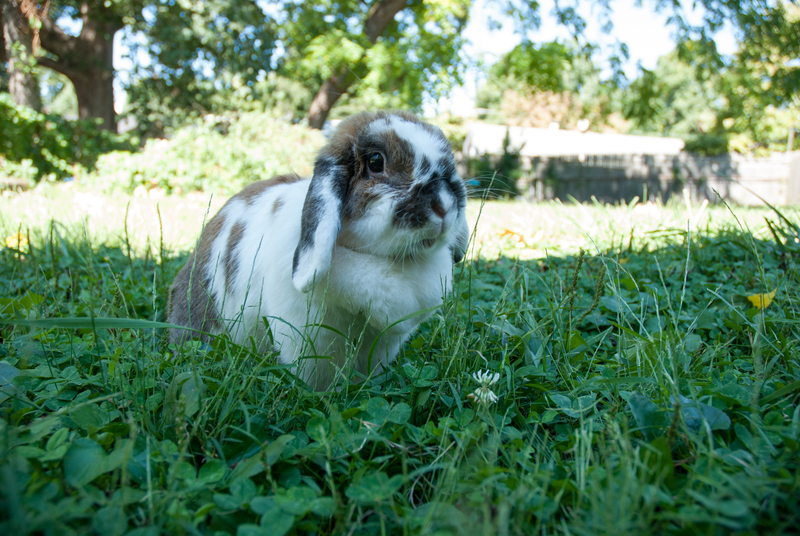 For years on this blog, I referred to her as Bun Bun. But she is Daisy. I confess her name now, because soon we will have to let her go. We bought Daisy from the Animal Exchange, Rockville, Md., in late August 2003. She already was about six months old. Where we’re going Daisy won’t be able to come along. It’s a hardship for everyone to let her go, because she’s a beloved pet. The only life she remembers is with us. She runs loose in my basement office throughout the day, or around the backyard. It’s hard to imagine her getting as much freedom or care anywhere else.